Frank + Oak is known for their attention to detail with staple, menswear basics but if you’re unfamiliar with the brand, that’s alright. Right now, get to know them and stock up on $150 worth of basics like denim, tees, sweaters, and outerwear, and you’ll get $50 off when you use the code HARVEST50. 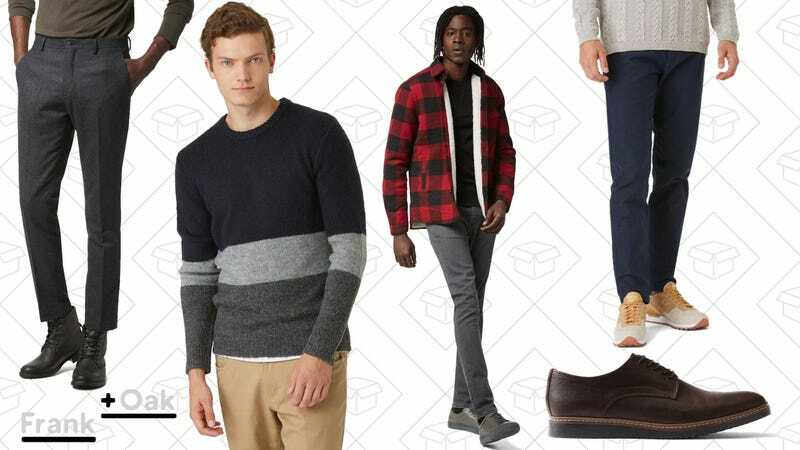 The other great thing about Frank + Oak is that if you’re really into it, but unsure about dropping more than normal cash on basics, they’ll give guys your first outfit (selected from these pants and shirt combos) for only $79. They also just launched an awesome womenswear collection.